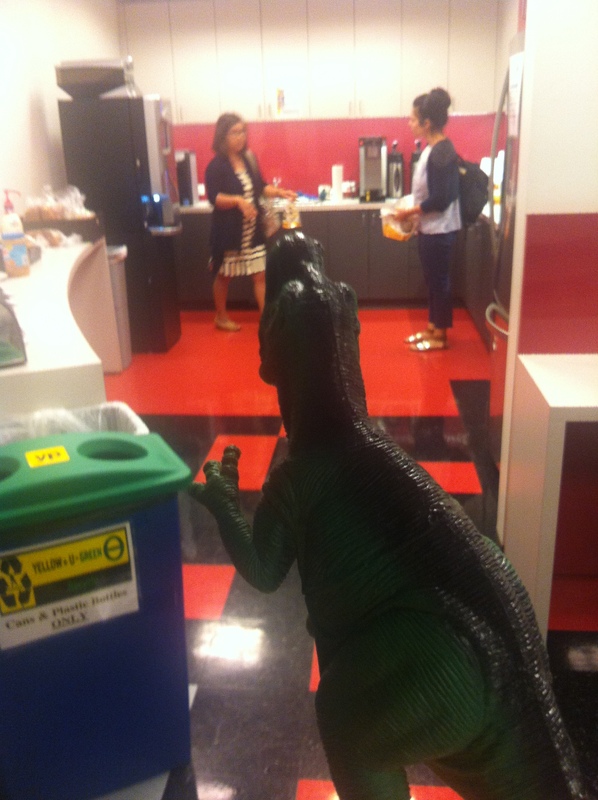 Sometimes you just have to bring your marketing dinosaur to work. You know, the marketer that thinks up snappy jingles, wants to buy ads in newspapers, uses the google to surf the information highway and thinks social media is a fad. Here we are walking up to our building. He is trying to blend-in by flashing the peace sign to the ladies and fist bumping the guys. 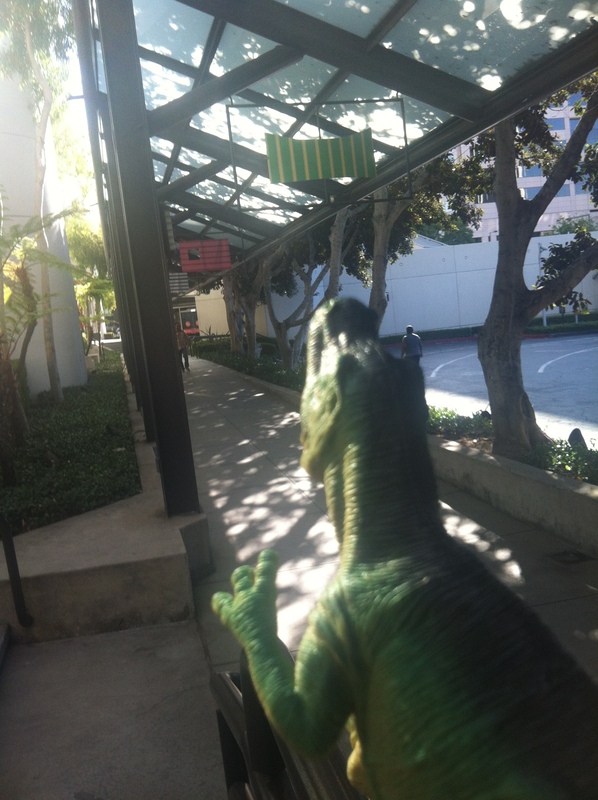 Fortunately, he is a very small marketing dinosaur so no one has been scared. Being an old-school marketer, he likes to hum commercial jingles when he enters a room. He also keeps muttering something about a coffee percolator. I show him how to use the espresso machine, then carry both of our coffees to my office. Marketing dinosaurs are not very coordinated – they find it difficult to walk and carry coffee at the same time.